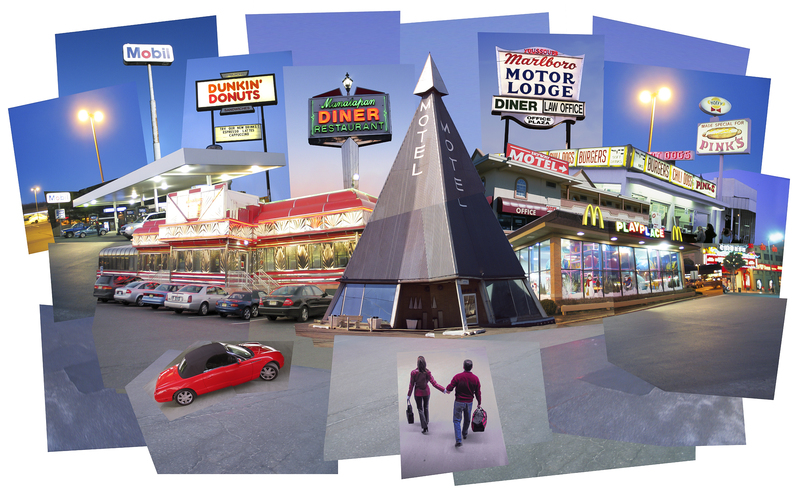 VIA MOTEL 2004 is a digital photo collage created from a mix of images, some shot specifically for the job, and others from a variety of sources including stock photography. It was created for Via Magazine in 2004 along with the two images below. For more similar images, please check out Pro Collage.